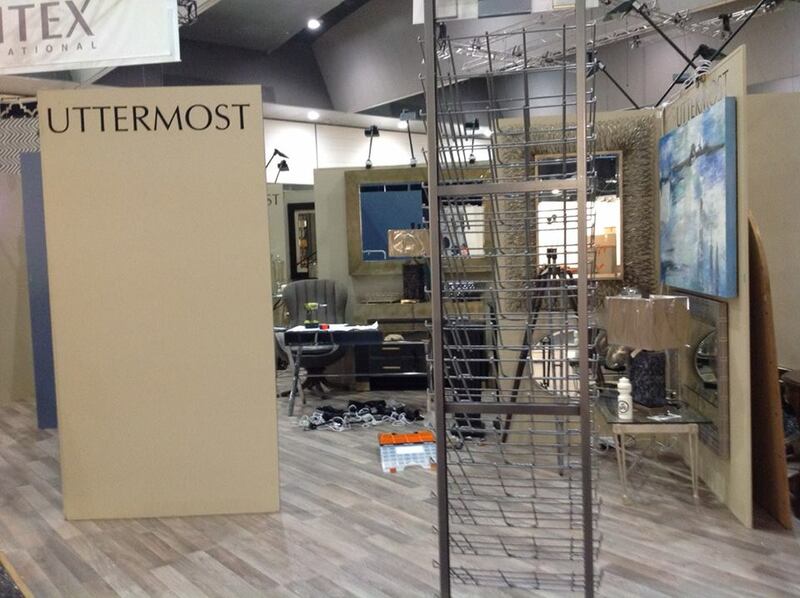 Uttermost Australia join the Furnitex, Décor + Design 2014 Melbourne for the 3-day event last 10-13th of July at Melbourne Convention and Exhibition Centre, South Wharf. 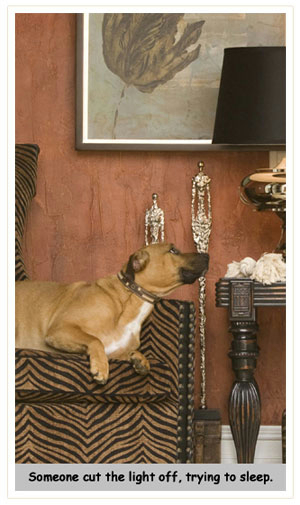 In preparation for the event, we ordered amazing new range of Uttermost products in the US that will be exhibited at Décor + Design. 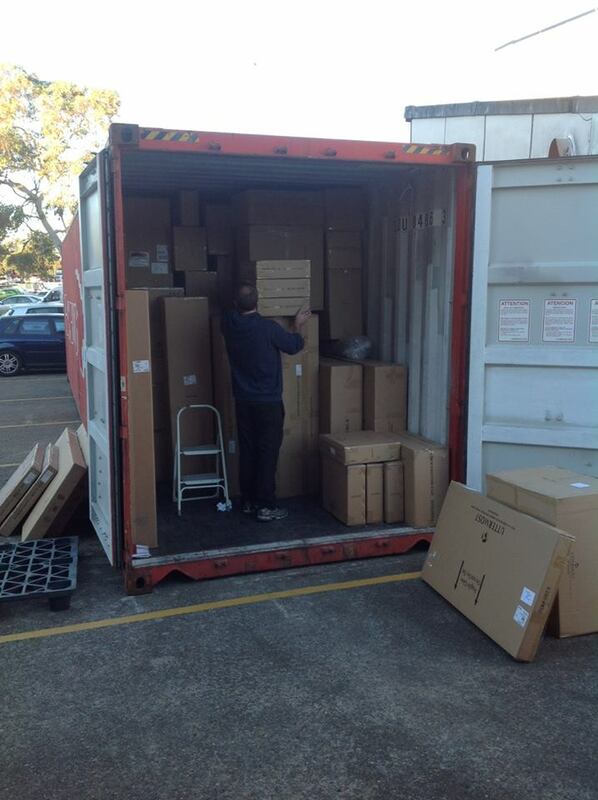 The first container arrived at our showroom loaded with boxes waiting to be open, all came in fresh from US! Let the fun of unpacking begin! 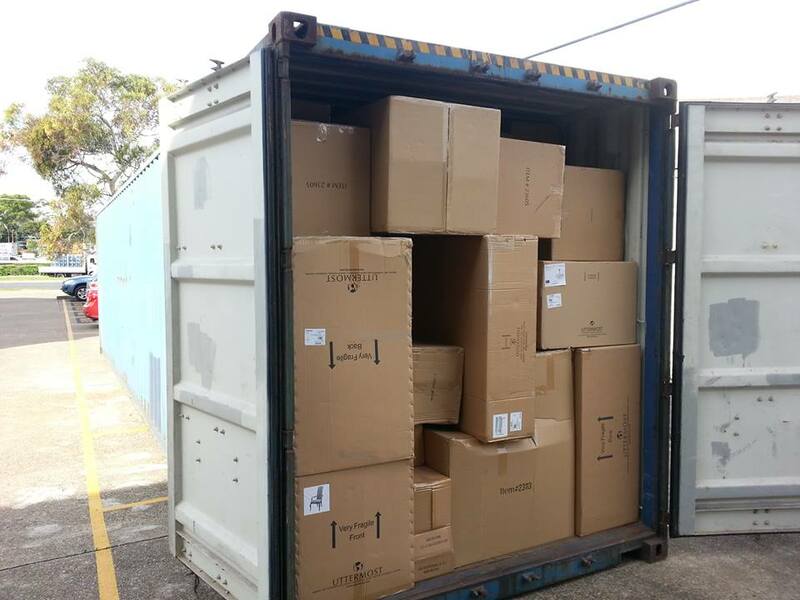 Got more orders coming, yet another container arrived early! 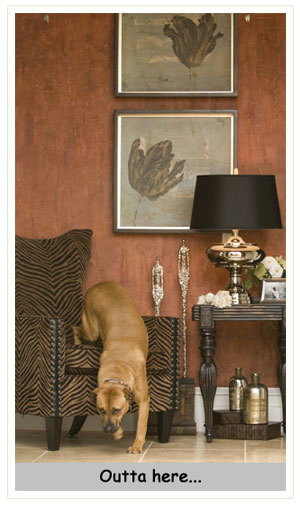 We are all excited to unpack the boxes filled with new products to let you see our newest Uttermost collection!! 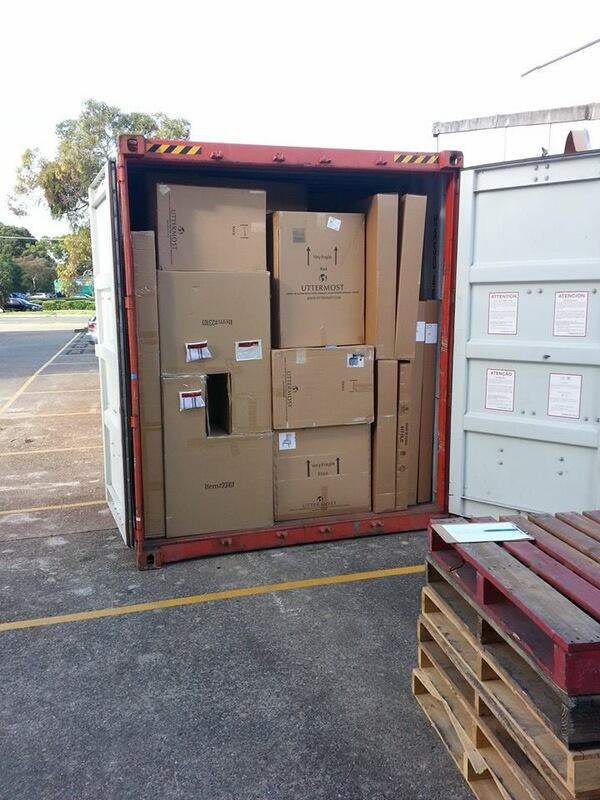 Finally the latest 40ft container arrived late on June 25th – but not until 4pm! 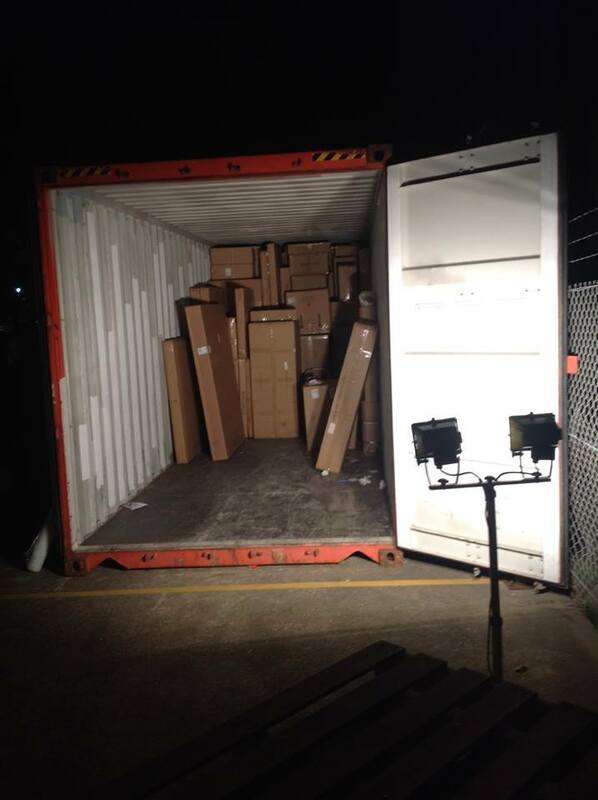 We know how much our customers want their Uttermost product so we worked late into the night to unload the container- in the cold snap that has hit Sydney. Thanks to the lights , it kept us warm outside. 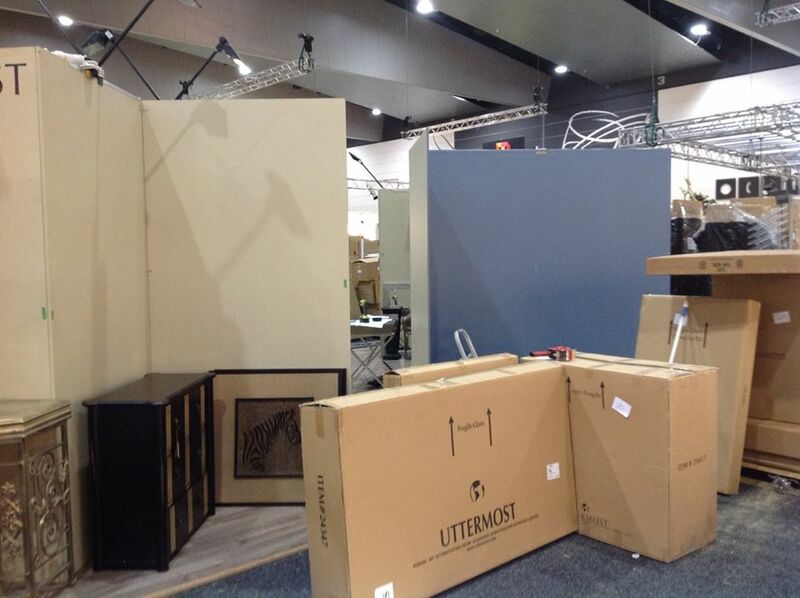 Now that all our products have arrived, Uttermost Australia team are getting our stand ready for Furnitex, Design + Decoration 2014! Can’t wait to see you all there! 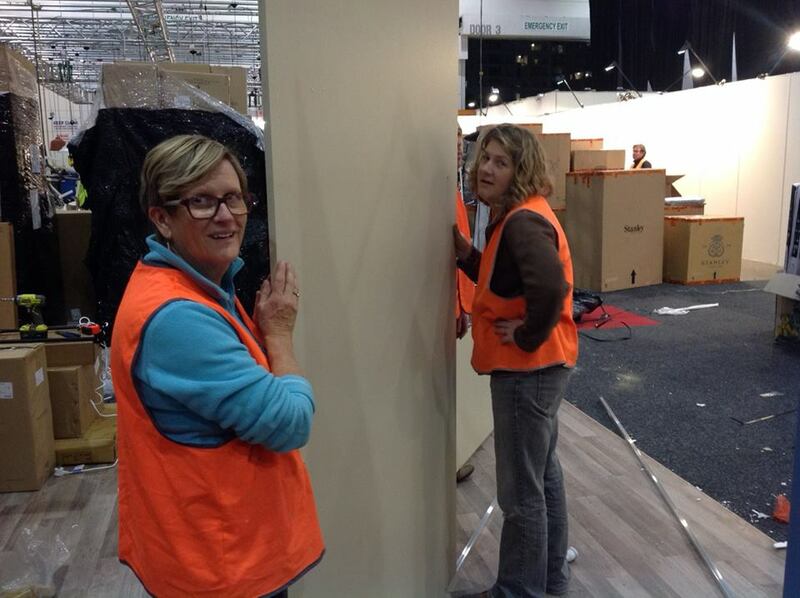 Stand AG26 blank canvas bump-in! 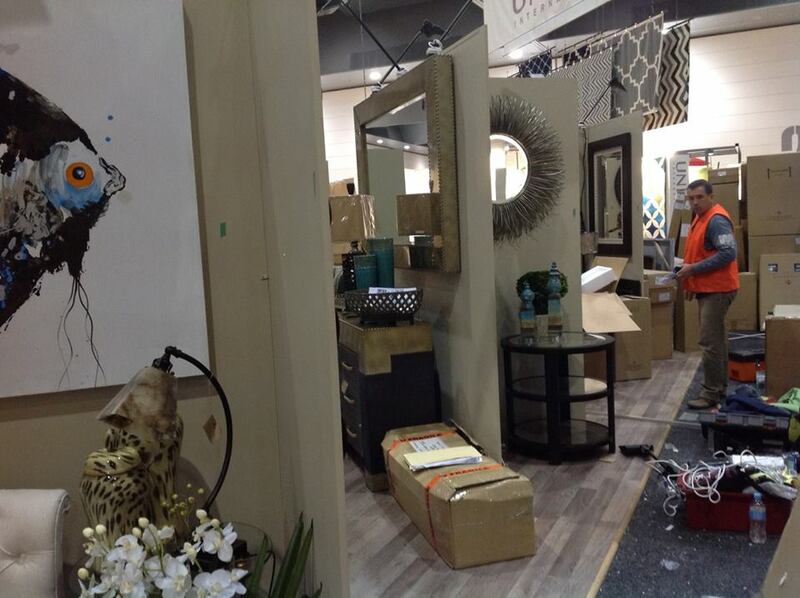 Everyone at Decor + Design fair were given 3 days before the exhibit to put up all our products into this blank space! So what to put where? Our team will do the magic! The building process. 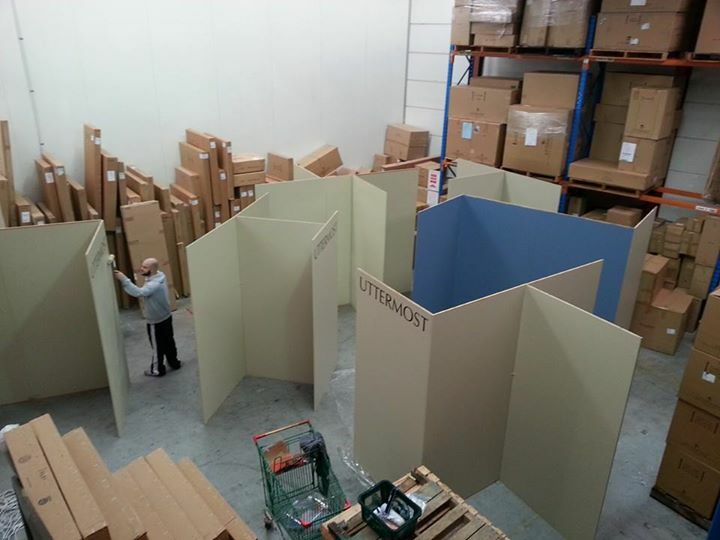 It’s got to be a lot of work, surely the outcome will turn out GREAT! Everyone in our team are doing their part, even our accounting team was also in the action. But it was a bit rough on the knees. We got this far and finished at midnight. Thanks to the whole team – just a lot of work to go but it will all be worth it in the end. The photos say it all. Exhausting, even though it does not look like it we are getting closer. Tomorrow is THE LAST DAY to finish. We’ve put up as many products as we can for that day. 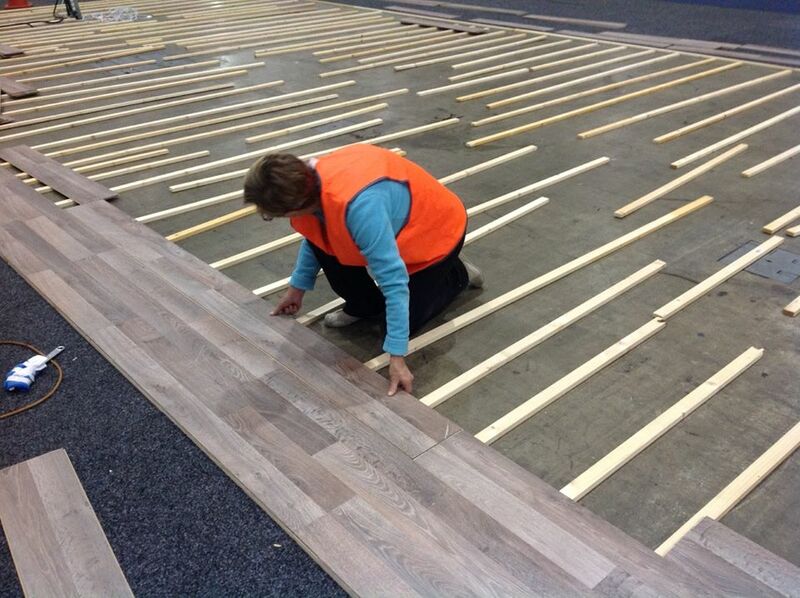 The first photo is Terry laying the last floor tile – we cheered him! Woohhooo! The Floor is finish, next step will be the walls and finally the most exciting one, interior decoration!! We are almost there. 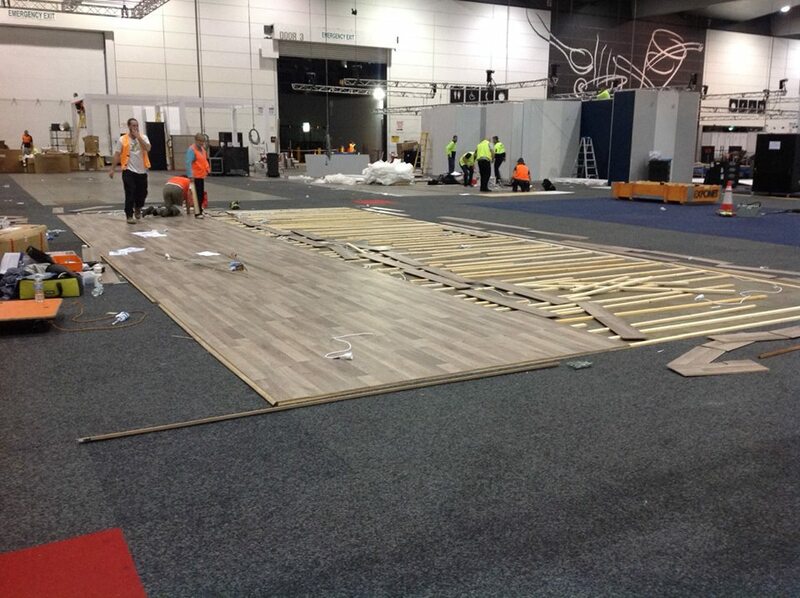 Finished setup at 8pm – after the start of the State of Origin! 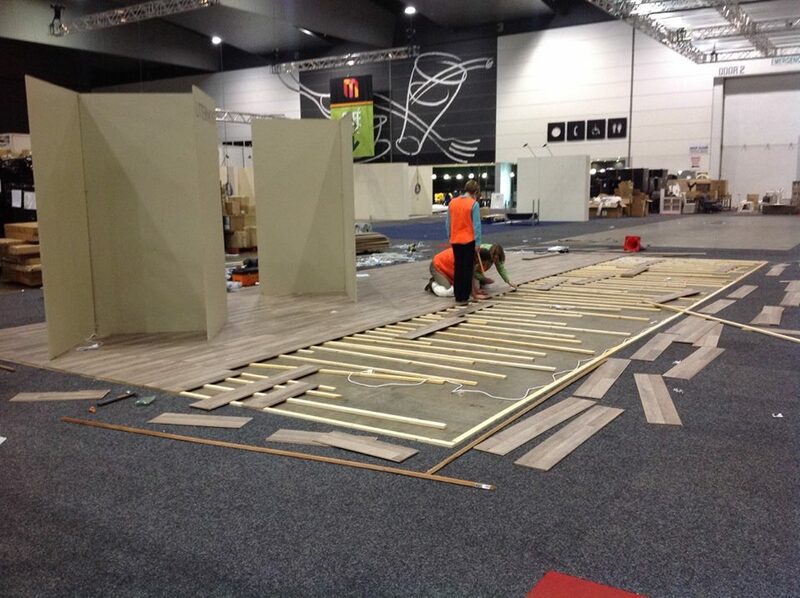 Just some vacuuming to be done overnight and some finishing touches before the Show opens. Here is a little sample of what you will see there. 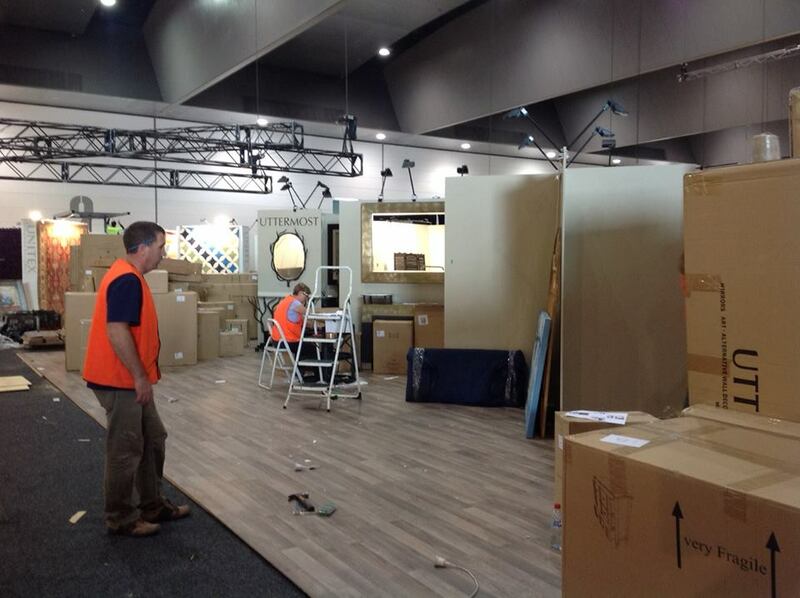 Look forward to seeing you there – we are very proud of our display. 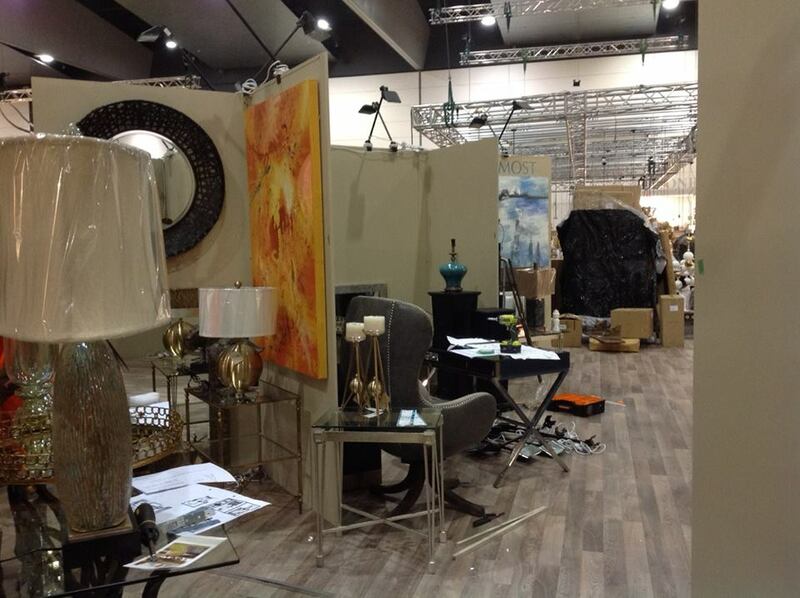 Uttermost Australia Decor + Design Stand AG26 is all set for the Fair! It’s SHOWTIME! Hi, I’m Tucker. 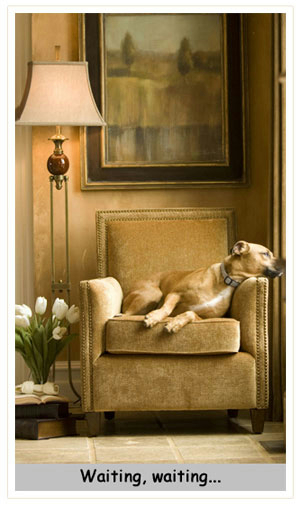 Yes, this really is my home, and one of my favorite chairs. Being a star isn’t easy. 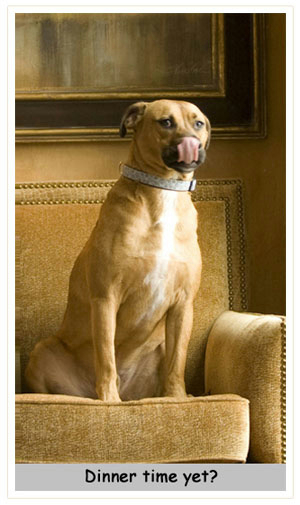 First this photo shoot… I was exhausted, but did get my share of biscuits! Now everyone wants my paw print. Most of my brothers and sisters were rescued like me. I don’t know much about my early years, other than where I ended up. 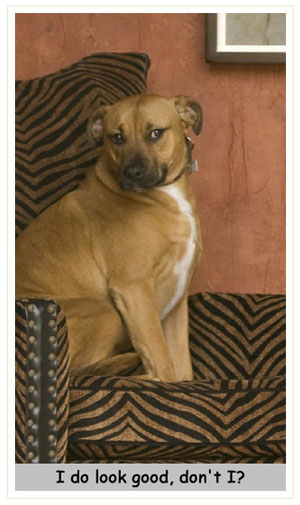 My Mama says I’m a boxer/pitbull mix, and about 2 years old now. Enough about me. 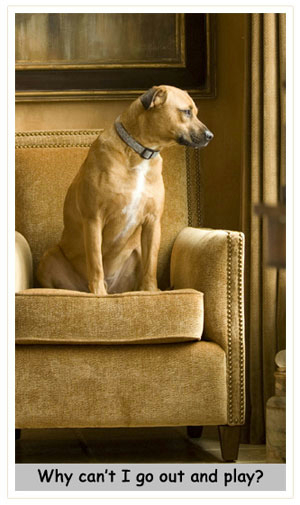 I do have one favor I’d like to ask… the next time you see a dog or cat in need of a family, please help them out.